Hola Amigo, let me introduce you to Chiquito!<br><br>From the moment you walk through our door you can expect a warm welcome, lively atmosphere and a burst of fantastic flavours. Take a look around and you’ll find a host of authentic features that capture the very essence of all things Tex Mex. Put all of this together and you’ve got the vibrant and laid-back fiesta feeling that Chiquito has become famous for!<br><br>Chiquito is the UK’s largest Tex-Mex restaurant chain with 100,000’s of guests tucking into our freshly prepared dishes each week. There’s no place better to spice things up, than Chiquito!<br><br>We pride ourselves on looking after all of our amigos by using amazing incentives, having a fantastic training programme and by offering the Holy Grail... PROGRESSION!<br><br>Your role as a Chiquito Supervisor:<br><br>• Communicate key messages to your team<br><br>• Support your General Manager with the running of Chiquito<br><br>• Look the part – Premium casual attire, dress to impress<br><br>• Take ownership of key shifts<br><br>• Exceed profitability through driving sales and controlled margins<br><br>• Deliver Exceptional hospitality, service, food and drink in clean fantastic surroundings.<br><br>If you think you can be our newest amigo then apply now! 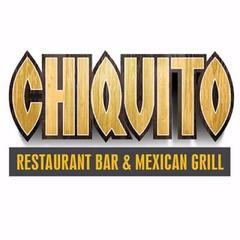 Chiquito - Braehead is posting their hospitality jobs on Harri.